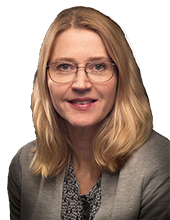 The Assar Gabrielssons Award 2019 for clinical research is given to Maria Frånlund for her research into PSA-based screening. Maria Frånlund awarded the prize for she has increased awareness of PSA-based screening for prostate cancer. The results from this research will contribute to the design of future effective screening programmes. Mary's research on optimization of start and stop age of PSA screening for possible future screening programmes shows that we can get a reduction of deaths from prostate cancer by 30 percent. This research is an important contribution to the knowledge of the benefits of PSA screening. The Assar Gabrielssons Award 2019 for basic scientific research is given to Michael Montelius for his research on magnetic resonance methods. 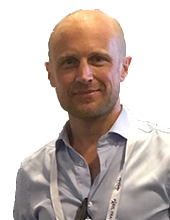 Mikael Montelius awarded the prize because he demonstrated the possibility of using advanced magnetic resonance methods to study the characteristics of tumor tissues before and soon after a radiation treatment. The results from this research can contribute to safer early evaluation of the efficacy of a treatment for a patient. Michael's research is increasing our understanding of radiation effects in tumor tissue which provides opportunities for early detection and alow adjustments of ineffective cancer treatment. The presentation will be done in Swedish.